Earlier this week, MTV released a new trailer for the network's Scream Halloween special, airing Tuesday, October 18 at 9 PM ET. At the time, the network hadn't officially renewed the show for Season 3, but that changed today, with the network issuing a six-episode order for Season 3. No details about returning cast members, or when the season may premiere, have been revealed, but there may be some behind-the-scenes changes in store for the series. Variety reports that Michael Gans and Richard Register will be stepping down as showrunners, although their replacements haven't been named. 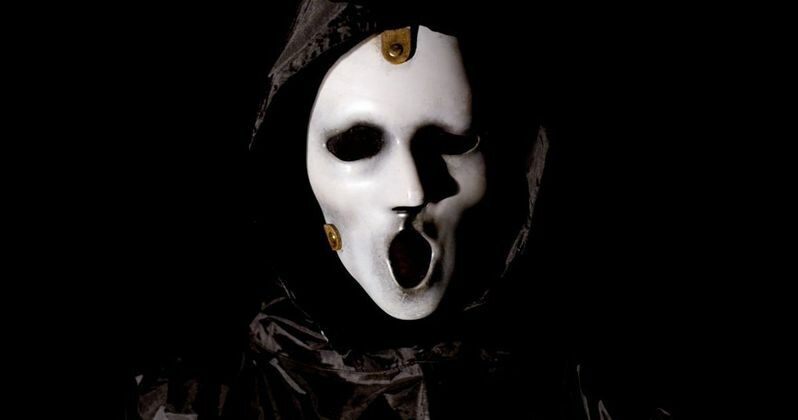 Michael Gans and Richard Register took over as showrunners in Scream Season 2 after original showrunners Jill Blotevogal and Jaime Paglia stepped down after the first season. Jill Blotevogal co-created the series with Jay Beattie and Dan Dworkin. While no plot details have been released for the new season, next week's Halloween special may offer some clues to what lies ahead in Season 3. The 2-hour special picks up eight months after Kieran's (Amadeus Serafini) arrest. Emma (Willa Fitzgerald) is struggling to focus on her future and who she really is after everything that has happened. Meanwhile, Noah (John Karna) and Stavo (Santiago Segura) have combined forces to create a best-selling graphic novel based on the Kieran Wilcox murders and Audrey (Bex Taylor-Klaus) has found herself in a new relationship. Since the first anniversary of Piper's killing spree is upon us, Emma and her friends are determined to be as far from Lakewood as possible and Stavo has the perfect solution. He and Noah are researching for their next graphic novel, a Lizzy Borden-esque legend on Shallow Grove Island, and suggest the rest of the group come along for the weekend. Just when they thought they were safe, the Lakewood survivors find themselves in another bloody standoff, leaving them to wonder - is an old legend coming back to life or has murder followed them from Lakewood? The Season 2 finale featured Kieran receiving a phone call in prison, from a person claiming to be the real Ghostface. The trailer for this new special also featured a hotel clerk welcoming "Mr. James" back, which most likely will mark the return of the disfigured killer Brandon James. No cast members have been confirmed for Scream Season 3 yet, but perhaps we'll get an announcement after this Halloween special airs next week.